POLAR WHITE, WHEELS: 17 SPLIT 5-SPOKE (STD), PANORAMA SUNROOF, REAR TRUNK LID SPOILER, BLIND SPOT ASSIST, HEATED FRONT SEATS, REAR VIEW CAMERA, PREMIUM 1 PACKAGE *Note - For third party subscriptions or services, please contact the dealer for more information. * When you purchase a vehicle with the CARFAX Buyback Guarantee, you're getting what you paid for. Meticulously inspected -- Worry-free -- Quality assured. 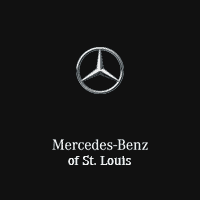 All of this comes with a Certified vehicle, like this 2016 Mercedes-Benz. 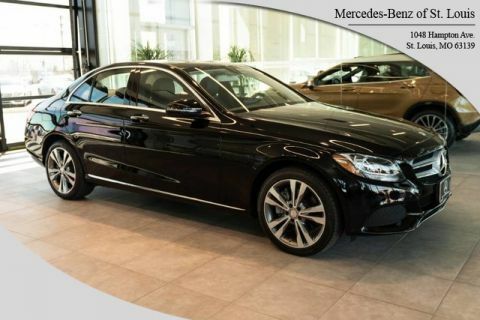 Sophistication & understated luxury comes standard on this Mercedes-Benz C-Class C 300. Well-known by many, the C-Class has become a household name in the realm of quality and prestige. If you are looking for a vehicle with great styling, options and incredible fuel economy, look no further than this quality automobile. 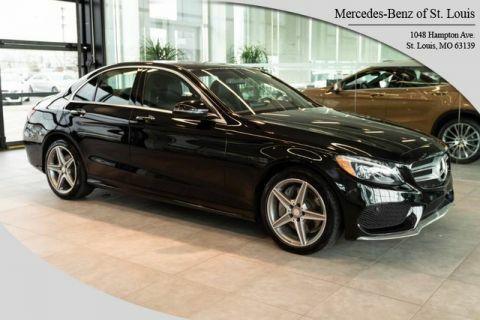 You'll love the feel of AWD in this 2016 Mercedes-Benz C-Class. It provides a perfect balance of handling power and control in virtually every driving condition. It's not often you find just the vehicle you are looking for AND with low mileage. This is your chance to take home a gently used and barely driven Mercedes-Benz C-Class. More information about the 2016 Mercedes-Benz C-Class: The C-Class has traditionally been Mercedes-Benz' entry-level car. However, with the arrival of the CLA, the C-Class is no longer the German automaker's least expensive model. Mercedes-Benz has packed the 2016 C-Class full of upscale technology, determined to make the car feel anything but entry level. Despite this move upmarket, pricing on the C-Class remains competitive with other European small sedans such as the BMW 3-series. The 2016 C-Class starts at around $40,000. Strengths of this model include high-end features, all-wheel drive, Attractive modern styling, fuel-efficient diesel and hybrid engines, plus powerful turbocharged engines, and typical Mercedes-Benz luxury On-Line Sales Price may not include Mercedes Benz Certified Pre-Owned Warranty *CALL TO VERIFY PRICING AND WARRANTY INFORMATION. 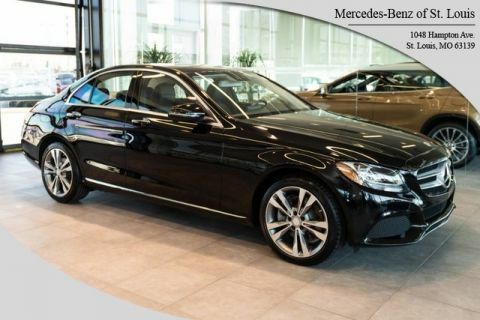 Contact Mercedes Benz of St Louis today for information on dozens of vehicles like this 2016 Mercedes-Benz C-Class C 300 Luxury. Your buying risks are reduced thanks to a CARFAX BuyBack Guarantee. This vehicle is Certified Pre-Owned. Is it possible to fall in love with a vehicle? It is when your vehicle is as prestige as the Mercedes-Benz C-Class. When it comes to high fuel economy, plenty of versatility and a great looks, this Mercedes-BenzC-Class C 300 Luxury cannot be beat. This Mercedes-Benz C-Class's superior fuel-efficiency is proof that not all vehicles are created equal. All-wheel drive means peace of mind all the time. This Polar-white AWD Mercedes-Benz enjoys a host offeatures, including exceptional acceleration and superior stability so you can drive with confidence. 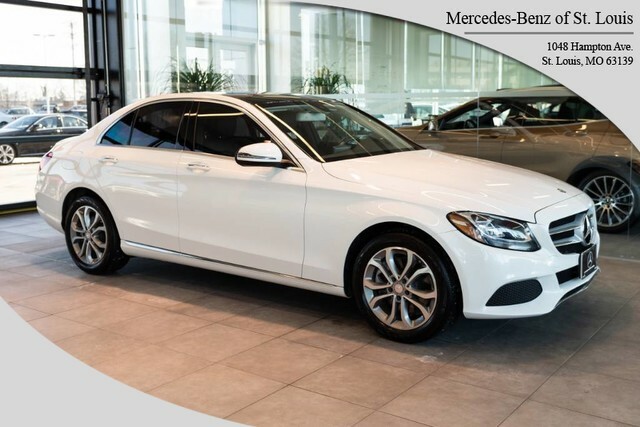 You can tell this 2016 Mercedes-Benz C-Class has been pampered by the fact that it has less than 41,645mi and appears with a showroom shine. More information about the 2016 Mercedes-Benz C-Class: The C-Class has traditionally been Mercedes-Benz' entry-level car. However, with the arrival of the CLA, the C-Class is no longer the German automaker's least expensive model. Mercedes-Benz has packed the 2016 C-Class full of upscale technology, determined to make the car feel anything but entry level. Despite this move upmarket, pricing on the C-Class remains competitive with other European small sedans such as the BMW 3-series. The 2016 C-Class starts at around $40,000. Interesting features of this model are high-end features, all-wheel drive, Attractive modern styling, fuel-efficient diesel and hybrid engines, plus powerful turbocharged engines, and typical Mercedes-Benz luxury On-Line Sales Price may not include Mercedes Benz Certified Pre-Owned Warranty *CALL TO VERIFY PRICING AND WARRANTY INFORMATION.